Peace Dollars have always been one of my favorite coins, designed by Anthony De Francisci, he used his wife, Teresa, as the model for the absolutely beautiful depiction of Lady Liberty. 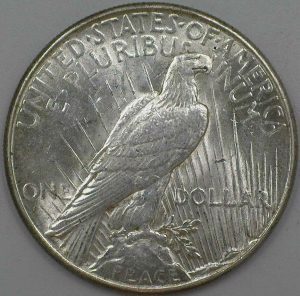 This particular uncirculated Peace Dollar is in beautiful condition and has a beautiful luster and a clean strike, every detail is well defined and easy to make out. 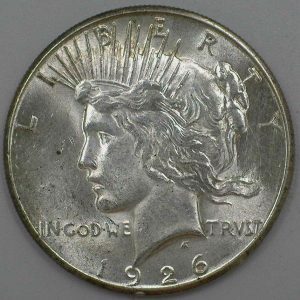 The 1926 D Peace Dollar is a fairly common coin, as over 2,300,00 were minted, but this particular example is absolutely stunning. It really showcases the care and work that De Francisci put into this marvelous coin. For more Peace Dollars or other coins, come check us out at tomscoinworld.com.